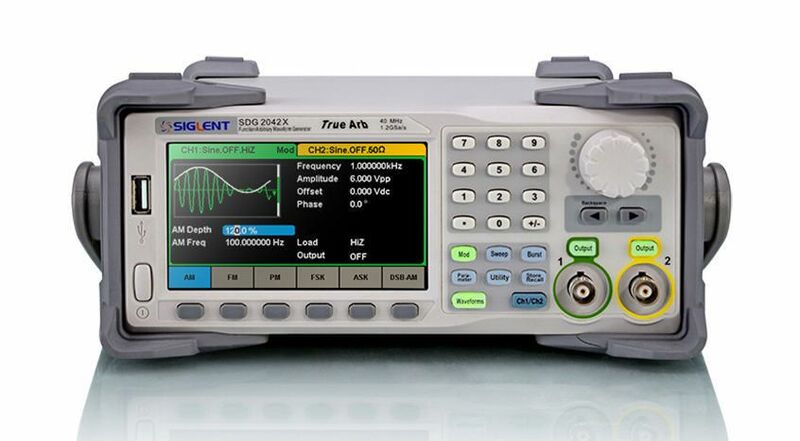 A powerful dual channel waveform generator. 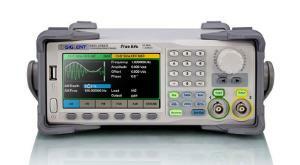 A series of dual-channel function/arbitrary waveform generators with specifications of up to 120MHz maximum bandwidth, 1.2GSa/s sampling rate and 16-bit vertical resolution. The proprietary TrueArb & EasyPulse techniques help to solve the weaknesses inherent in traditional DDS generators when generating arbitrary, square and pulse waveforms. With advantages above, SDG2000X can provide users with a variety of high fidelity and low jitter signals, which can meet the growing requirements of complex and extensive applications. Ordering information: Includes Quick Start, Power Cord, USB Cable, CD (Including Quick Start, datasheet, and Application Software Package), Calibration Certificate, BNC Coaxial Cable.